A car accident on July 20 has claimed another life. According to Spectrum News, one man died when he failed to yield at the Frances and South Peninsula intersection in Daytona Beach. As a result, he collided with a Ford Excursion. Emergency personnel transported the deceased to Halifax Medical Center, where he died shortly after arriving. The driver of the Ford Excursion declined treatment. According to the Daytona Police Department, the victim failed to yield as required by law, so no criminal charges will be filed in this case. Failure to yield collisions are some of the deadliest car accidents, principally because both vehicles are moving when they collide. As a result, these collisions can generate tremendous force and often result in the death of one or more motorists. In the accident mentioned above, the person who failed to yield ended up suffering the worst of the collision. However, in other failure to yield crashes, the innocent party gets hit and winds up in the emergency room. Collisions involving pedestrians. Pedestrians have the right of way in the crosswalk, but many drivers do not yield. Instead, they try to scoot past the pedestrian or, if they are distracted, drive straight into the person without seeing them. Collisions involving bicyclists. Like pedestrians, bicyclists are unprotected and can suffer a direct hit in a failure to yield crash. Collisions involving drunk drivers. Because they are impaired, many intoxicated drivers blow right through an intersection, regardless of any stop sign or red light. Because of this, they slam at a high rate of speed into another vehicle. Failure to yield accidents can be complicated. Sometimes it is not apparent who should have yielded, and motorists have different memories about what happened. For this reason, you need an experienced car accident attorney in your corner. In some cases, surveillance video can document who had the right of way and who is responsible for the crash. In other cases, witnesses can testify about who should have yielded. Pulling together sufficient evidence is vital to winning these types of lawsuits, and the car accident attorneys at Bundza & Rodriguez have considerable experience in this area. 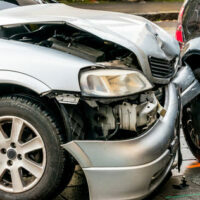 All Florida motorists should have personal injury protection benefits, called PIP. Since they are no-fault benefits, you can draw on them regardless of who is responsible for a crash. However, we have found that PIP benefits are rarely adequate. With only $10,000 on the policy, you can quickly exhaust them treating even minor physical injuries. Depending on the circumstances, bringing a lawsuit against the at-fault driver might be the only way to receive full and fair compensation. You might make a claim with the driver’s liability insurer or with your own underinsured/uninsured policy. Responding to a collision is rarely straightforward. At Bundza & Rodriguez in Daytona Beach, our clients have dozens of questions about how to make an insurance claim and whether they can receive compensation in addition to their PIP benefits. Please call us today, 386-252-5170 to schedule your free consultation.